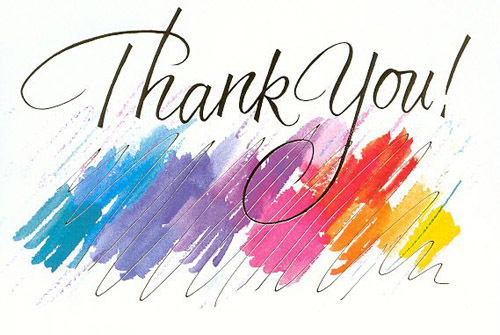 Love ebooks but wish you could get an author’s signature? Now you can get a free personalized inscription sent directly to your digital reader. Drop by www.authorgraph.com and request yours today! Get a Book, Help an Animal Shelter! If you enjoy discovering new series and want to support an animal shelter, here’s a great opportunity to do both! 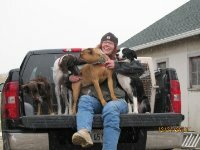 Abby Deuel is a practicing veterinarian in a small town in the Midwest. She worked in the Dairy farming industry in New Zealand before attending vet school there. After graduating and practicing as a mixed animal vet in the North Island of New Zealand, she moved back to America. Deuel served as a relief vet for several years, until she set up her own practice. While she pulls from real life experiences for some of the cases and characters for this series, everything is very much fictional. The only exception is that she too has a Border collie named Lyle that continues to serve as inspiration for upcoming books as well as a constant companion. She is animal crazy, with her own little petting zoo. There are 6 chickens, 7 runner ducks, 4 goats, 2 sheep, 3 geese, 2 rabbits, 2 turtles, 1 tortoise, 4 cats, 3 ferrets, and 7 dogs. Her little mini farm is run as sustainable as possible, with rain barrels, solar panels, and composting gardens. In this first book of the series, Mandy is summoned to the small Midwestern town of Crestview. A colleague and classmate from vet school has passed away and left her veterinary clinic and house to Mandy. While Mandy has always been a traveling vet in her motor home, she finds herself drawn to the Midwestern hospitality that the town shows her and her sidekick Border collie, Lyle. Unfortunately, on one of her farm calls, she discovers a body that turns out to have been murdered. She is determined to solve the murder to clear the name of the quaint little town. She uses her own intuition and careful questioning of townspeople and clients to piece together the culprit at fault. Lyle is by her side through the whole book, including at the town’s Halloween Hoedown, where she gets into trouble of her own. Read on to experience life as a small town veterinarian with a knack for solving murders. Now available in the Kindle Unlimited program! Get the latest news about the series on Facebook. Have a question for Dr. Abby? Post a note to the Facebook page. And watch for her Goodreads author page, coming soon! Want to ask your favorite authors a question? Many of us are taking questions NOW on Goodreads. We’ll answer questions about our books, our writing process, and just about anything related to the world of writing and publishing! To see if your favorite author is taking questions, check their author profile page. You can find my profile here. You’re welcome to ask me anything about my books, my writing process, or even questions about the Ozarks regions where I’ve set my series. Have a question about indie or trad publishing? Digital or print options? Ask, and I’ll do my best to answer! One of my favorite places to be is in a library! Big or small, grand or humble, I see libraries as the heart of a community, a place where possibilities are endless and the world awaits. Yesterday, I had the pleasure of visiting one of the libraries in the Carroll and Madison Library System. After I was invited to participate in the Books in Bloom Literary Festival, the St. Paul (AR) Public Library’s book club chose my book, Deadly Ties, for their July reading and invited me to visit. What an honor! Who would expect that a tiny community tucked away in the Ozark Mountains, with a population of just 113 people, would have a vibrant library of its own? The Library Director, Bonnie Rodgers, has created a warm, welcoming place for readers of all ages. The interior space has been very cleverly used, and a covered porch invites patrons of all ages to come enjoy this jewel of a library. I had a delightful time browsing the shelves and discovering new books about the Ozark region. Lots of informative posters, handouts, and–a surprise–a lovely collection of photographs of barns and Ozark landscapes. And the book club? A wonderful group! Great questions, engaging conversation, and a shared love of reading–who could ask for more? They were a marvelous audience and I’m already looking forward to my next visit. The St. Paul Public Library is located at 145 Fifth Street in St. Paul, AR 72760. You can reach them by phone (479-677-2907), email (library72760@gmail.com), or visit them on Facebook (http://tinyurl.com/kb7rj3j). To learn more about area, visit the Madison County Genealogical & Historical Society Website.